Some films just go nowhere. They start in the middle of nowhere, continue down a road towards nowhere, and eventually end up.. guess where? Nowhere. There’s no structure, no beats, little to no stakes, it’s just people hanging about in a non-story. Now, this can either make for a boring film stuck in doldrums of its own making, or it can somehow oddly just.. work. 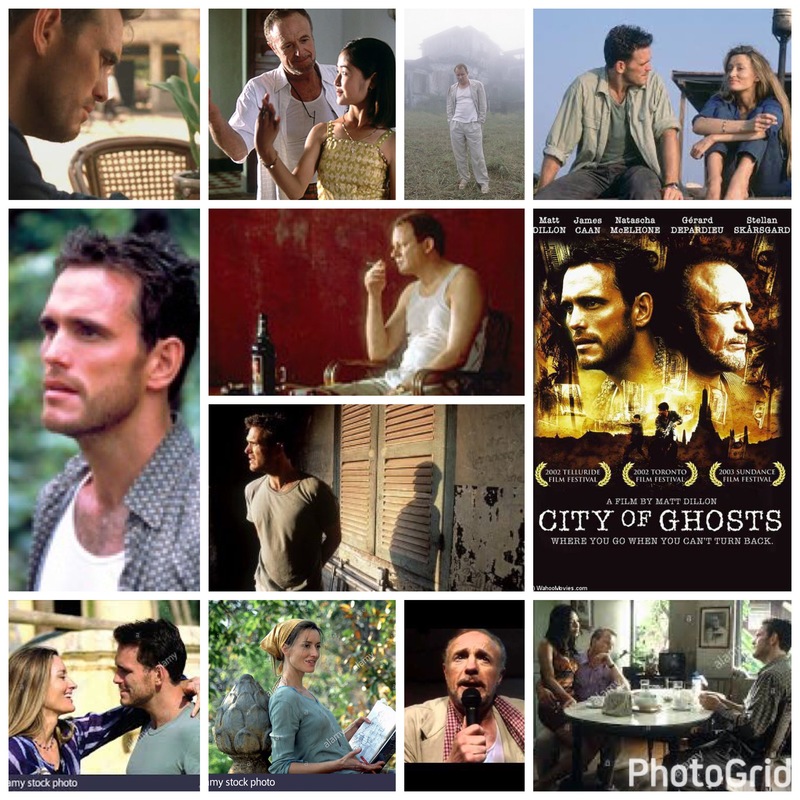 Matt Dillon’s City Of Ghosts falls in the latter category, lucky him. This was Dillon’s writing and directing debut, with him front and centre as the lead, which is a lot of pressure, but he’s crafted a meandering little exercise in mood that, although providing nothing groundbreaking or all that memorable, is a great time to watch in the dreamy AM hours when you just need something vague and atmospheric to fill the space. Matt plays a professional con artist who is forced to voyage from the US to find his boss and mentor (James Caan), last seen in Cambodia. That sounds like a setup ripe for intrigue and double crosses, right? Not so much. Once he’s there, things congeal into a smoky, languishing chamber piece that sees Dillon just wandering from one exotic locale to the next with a troupe of fellow travellers, and eventually the James Caan character, a fairly eccentric and charismatic fellow. There’s a vague love interest (the ever beautiful Natasha McElhone, always terrific), a jovial innkeeper (Gerard Depardieu) and other wayward souls who flit in and out of the proceedings, all amidst this authentic South Pacific setting (Dillon filmed on location in Cambodia, which does wonders for atmosphere). Stellan Skarsgard is in it too, a hoot as some associate of Caan’s, a mopey, Eeyore-esque pessimist who sits about, smokes, mumbles despairing platitudes and does not much else. Beginning to see the picture? It goes nowhere, and by the end the characters seem to have gotten sidetracked fifty times over, never really achieving goals or making bank like they do in noir such as this. It’s neat though, if you’re in the right frame of mind, and have shelved both expectations and adrenal glands. This is a burnished, dreamy, laconic little piece that I rather enjoyed at the hypnotic hour of 2am on some random tv channel in the triple digits.